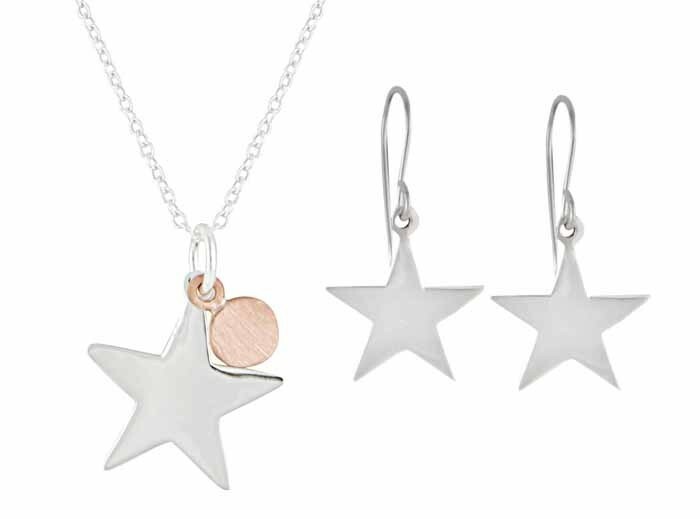 Sparkle like the night sky with this adorable necklace and drop earrings jewellery set. 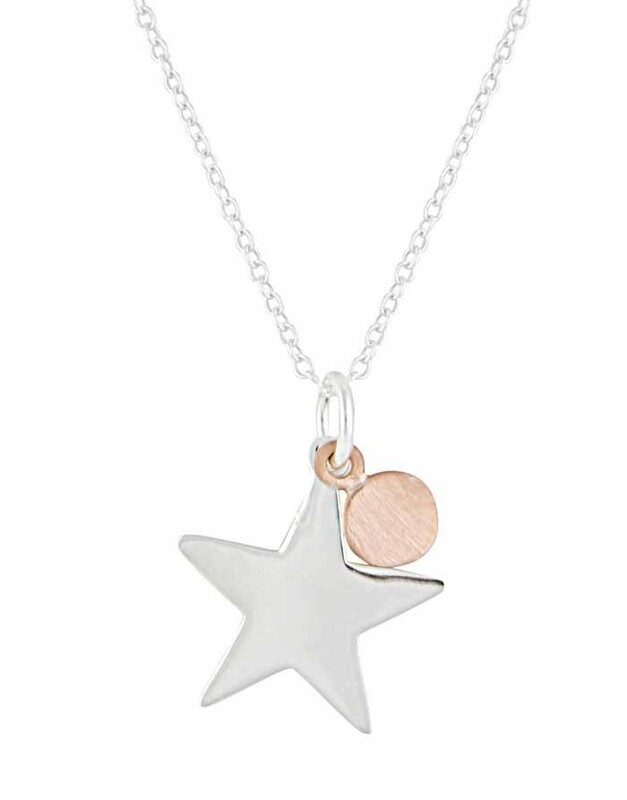 Crafted primarily from sterling silver, it features star charms with the addition of a small rose gold-plated disc charm strung on to the pendant. 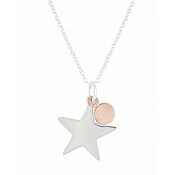 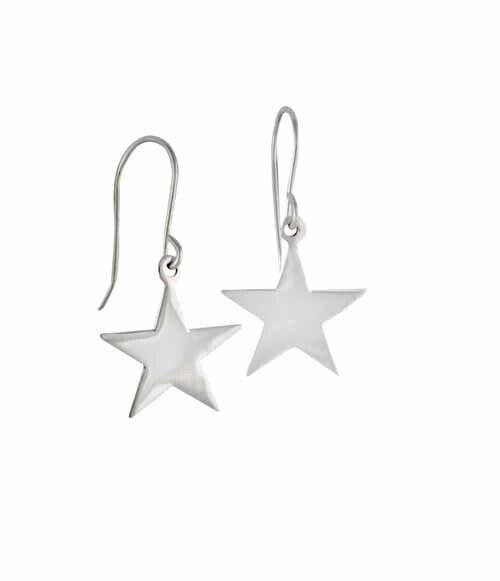 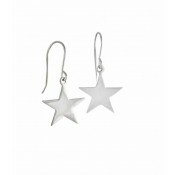 Beautifully simple, it captures our love of the unknown and blends into any jewellery collection.